March is one of the best times to launch your spring promotional products campaigns. This time of year offers a wonderful opportunity to drive home your marketing message and score big with promotional products. Simply partner with a charity golf tournament and you’ll swing your campaign into high gear. It’s a savvy marketing strategy and, more importantly, it’s a wonderful way to give back to the community. There’s no better way to be seen by lots of folks than on the green. Just think about it. Charity golf tournaments are often seen as fundraising gold. They bring in dollars and participants from all over. What a perfect opportunity to show off your brand, your message, your logo. 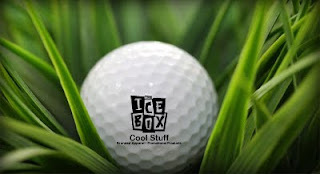 Your company can offer to provide the apparel, the golf balls, or the tees. You can help enhance the event with gift bags for donors that are filled with logo items that are both practical and fun. If cocktails, breakfasts, or maybe even silent auctions are part of the event, you have scores of opportunities to project your logo. Even if your budget is tight, there are plenty of products that will make an impact – and the payoff in the long term is huge! If you’ve already lined up some spring outings and tournaments, you can drive your campaign even further with logo promotional products. If you haven’t planned anything yet, there’s no better time than right now to get involved with a charity tournament.